Ever since moving 8,000 km away from Singapore to a country in which the official language is not English, there have been several frustrating and embarrassing incidents while I was grocery shopping. I spent a long time in-front of products, fumbling with my phone and trying to take a photo to scan to Google Translate to figure out what was printed on the packaging, often to no avail. Many usual and familiar products we see in Singapore are nothing but a distant memory and fondness. I also remember awkwardly describing to the butcher for the part of meat I want – just imagine trying to tell him you want to buy chicken breasts or chicken thighs! In Chinese we call it 鸡同鸭讲 (ji tong ya jiang), which is literally translated to a conversation between a chicken and a duck, and this is exactly what I experienced when conversing with the butcher. I’m learning the new language slowly via online sources, but I’m hoping to go for some classes so that I can learn faster. Thankfully most of the people here know basic English and are really nice, friendly and patient (sometimes a shopper will intervene and translate what I want to the butcher, I’m so grateful to these kind souls! ), though I honestly think most of the time they are more amused by me haha. So while shopping for the ingredients for this cheesecake, I couldn’t find digestive biscuits, so I bought a packet of biscuits labelled “petit beurre”, which I Googled and look like a possible substitute. Petit beurre turns out to be a plain butter biscuit, which makes a good and buttery base for the cheesecake. The usual block cream cheese is also not in sight, so I settled for the tub version – the tub cream cheese is a little soft, but thankfully the egg managed to hold the cheesecake together. When I make a lemon dessert, I want one that will make my face “sour”, in the literal sense. So I made a lemon curd (with reduced sugar) and top a very thin layer on top of the cooled cheesecake. I made only 1/2 the amount of lemon curd as I know it will be too sour for X and I was right, the one with the lemon curd made his face cringed so badly that I laughed out loud (oops). Without the curd, the cheesecake is still good, a light hint of lemon with a buttery crust. But the curd really up the notch in lemon flavour – I really love the combination of the sour-ness of the curd, the creaminess of the cheesecake and the buttery crust. I drowned one in chocolate syrup and oh god, I wish I have the waist line to accommodate more. Ingredients for the lemony cheesecake! 1) Break biscuits into small pieces. 2) Whiz into crumbs and add in butter. 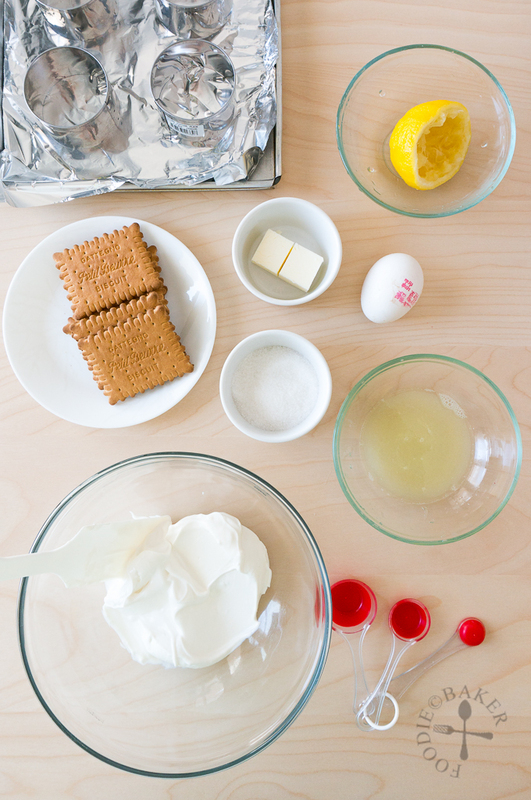 5) Combine all the cheesecake ingredients. 6) Mix together until smooth. 7) Divide the batter among the cake rings. 8) Bake until cheesecake is set with a slight wobble. Set aside to cool completely. 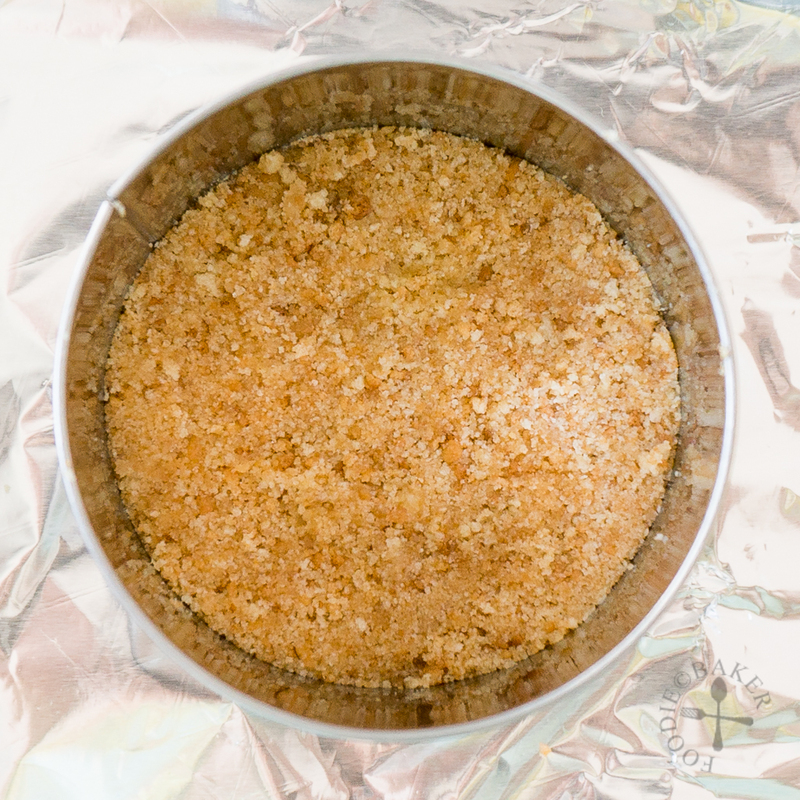 1) Combine sugar, lemon juice and zest together and bring to a simmer. 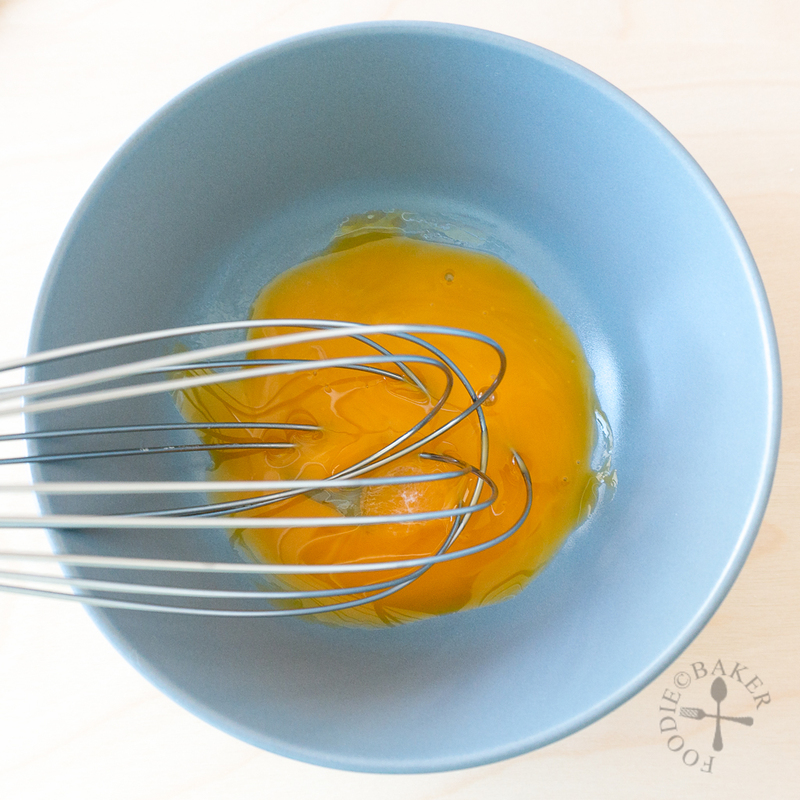 2) Whisk the yolks in a small bowl. 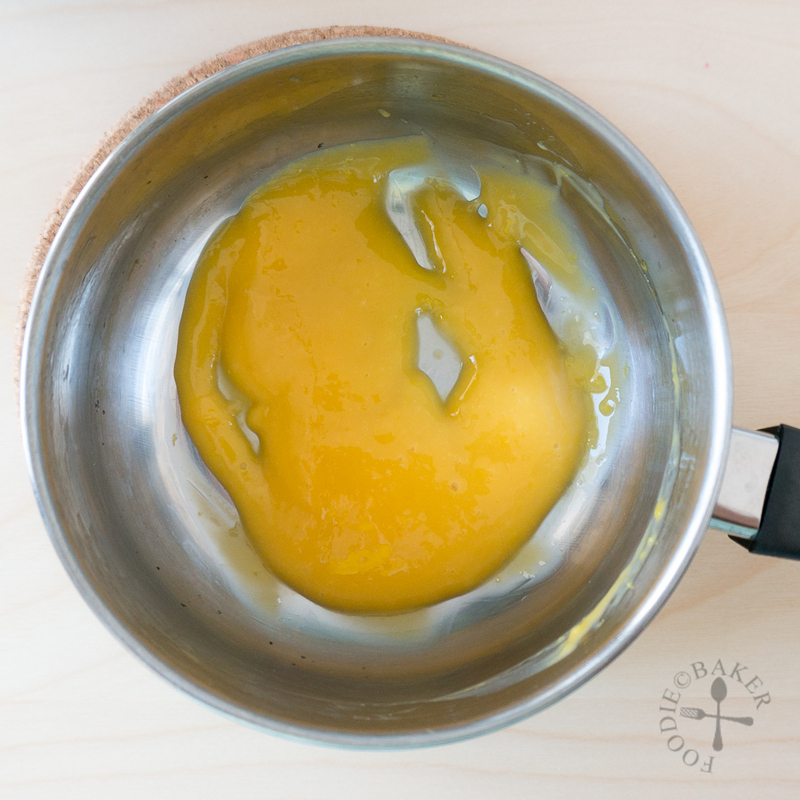 3) Can't photograph this step, but while whisking the yolks, drizzle in the lemon syrup bit by bit until all the syrup is added - this is called tempering. 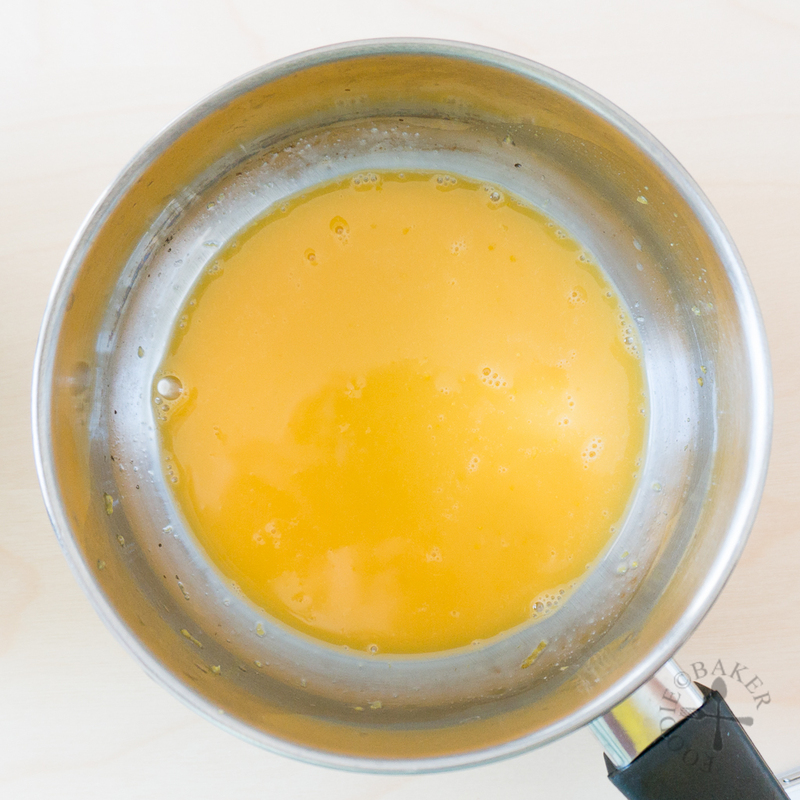 4) Reutrn the egg yolk mixture back into the pot. 5) Cook over medum-low heat, stirring constantly until curd has thickened. Don't overcook! 6) Divide the curd among the cheesecakes. Chill the cheesecake until firm before serving. Happy Birthday Bake-Along! This event is hosted by these wonderful ladies – Zoe from Bake for Happy Kids, Joyce from Kitchen Flavours and Lena from Her Frozen Wings. See at the end of the post for all the yummy cheesecakes by other fellow bakers! Edit 10/5/2015: Also submitting this to Best Recipes for Everyone May 2015 Event (Theme: My Favourite Desserts), organised by Fion of XuanHom’s Mom and co-hosted by Aunty Young. Thank you Aunty Young for the invitation! 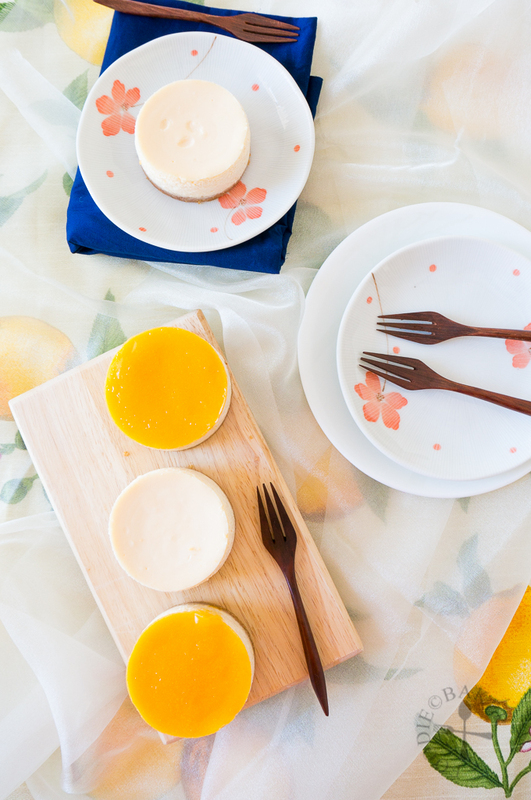 This lemon cheesecake is perfect for those who like a "sour face". 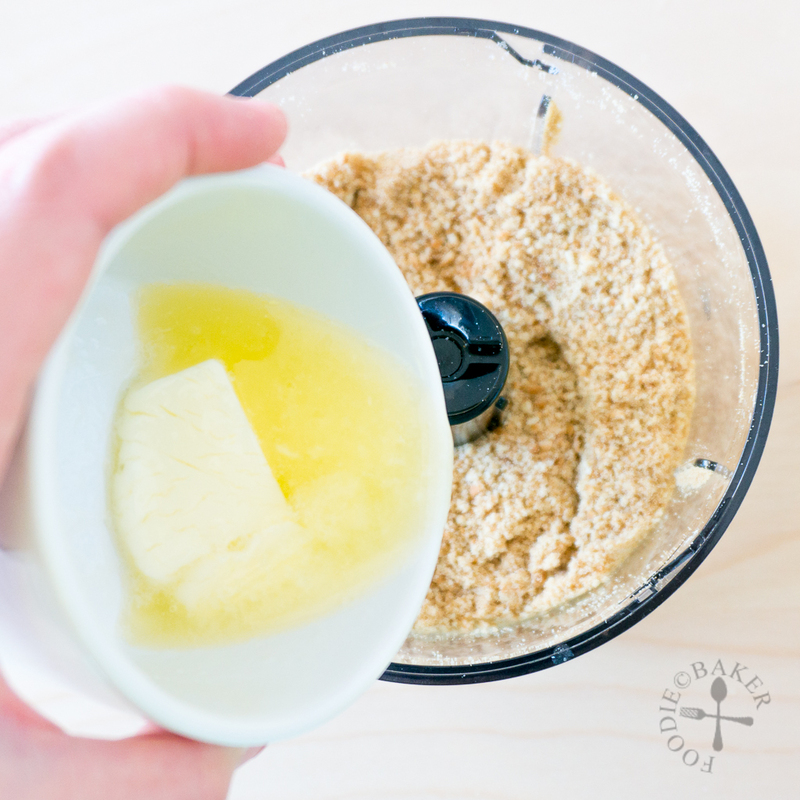 If you are not a huge fan, omit the lemon curd or increase the amount of sugar used in the curd. Preheat the oven to 180 degrees Celsius (355 degrees Fahrenheit). Line a baking sheet with aluminum foil or baking paper and place 4 cake rings on top (my cake rings are 2½-inch in diameter and 1¾-inch tall). Set aside. 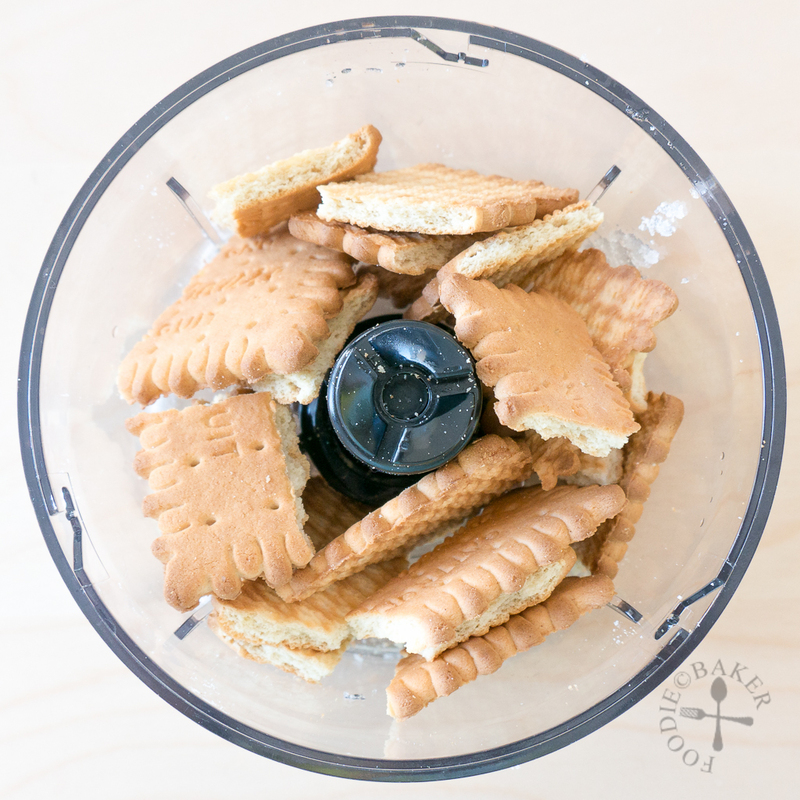 Process or crush the biscuits into fine crumbs. 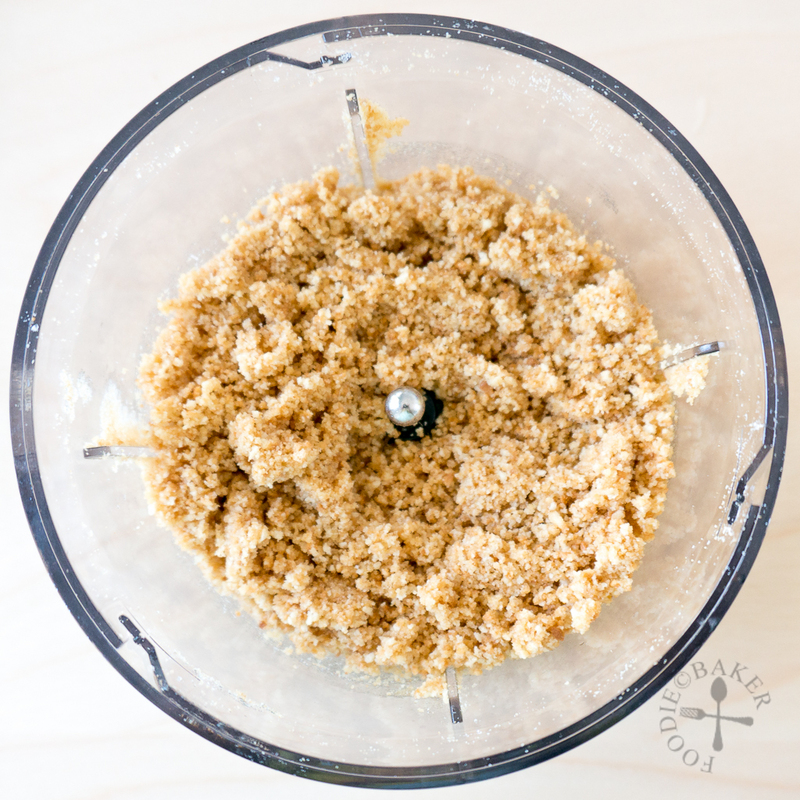 Add in butter and mix until you get a damp sand consistency. 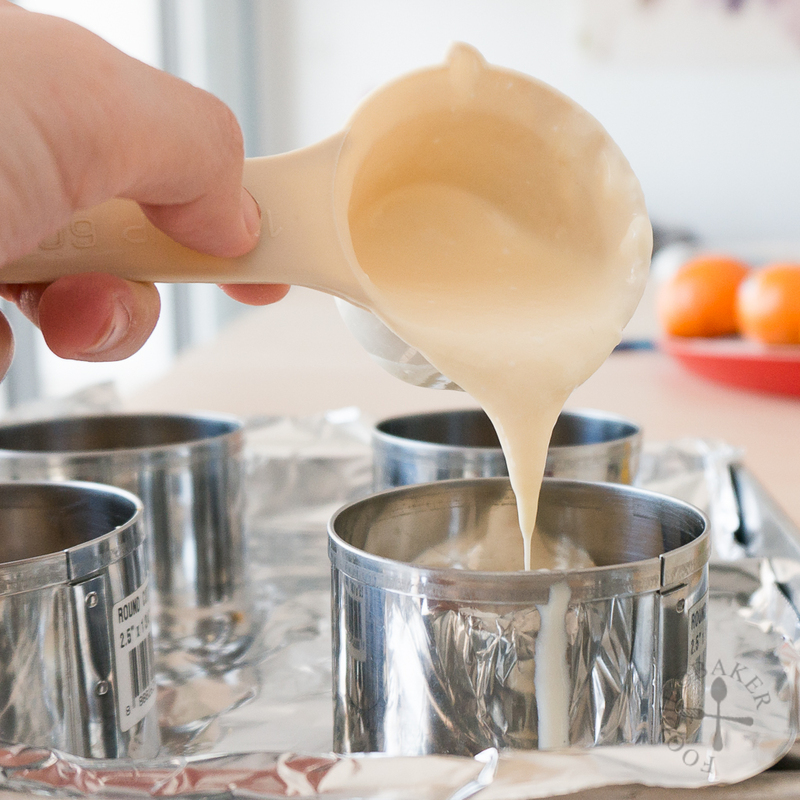 Divide the mixture among the 4 cake rings and press down firmly with the back of a spoon. 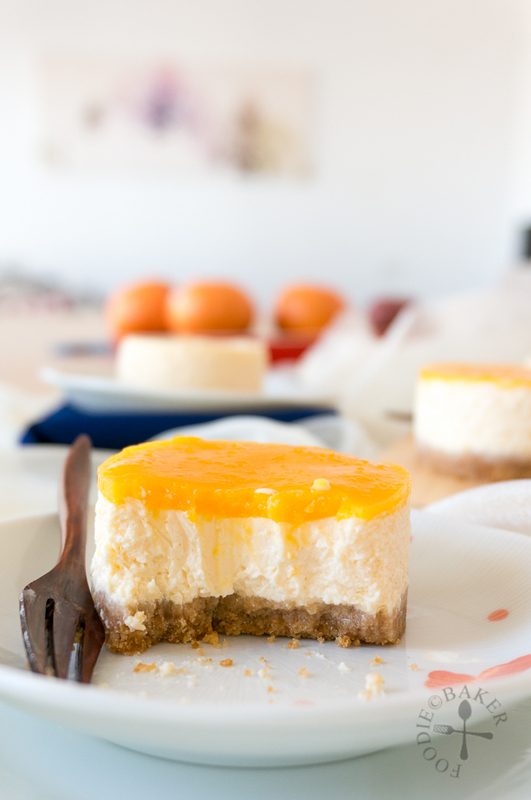 Use a toothpick or a fork, poke holes on the crust so that the crust will not separate from the cheesecake. 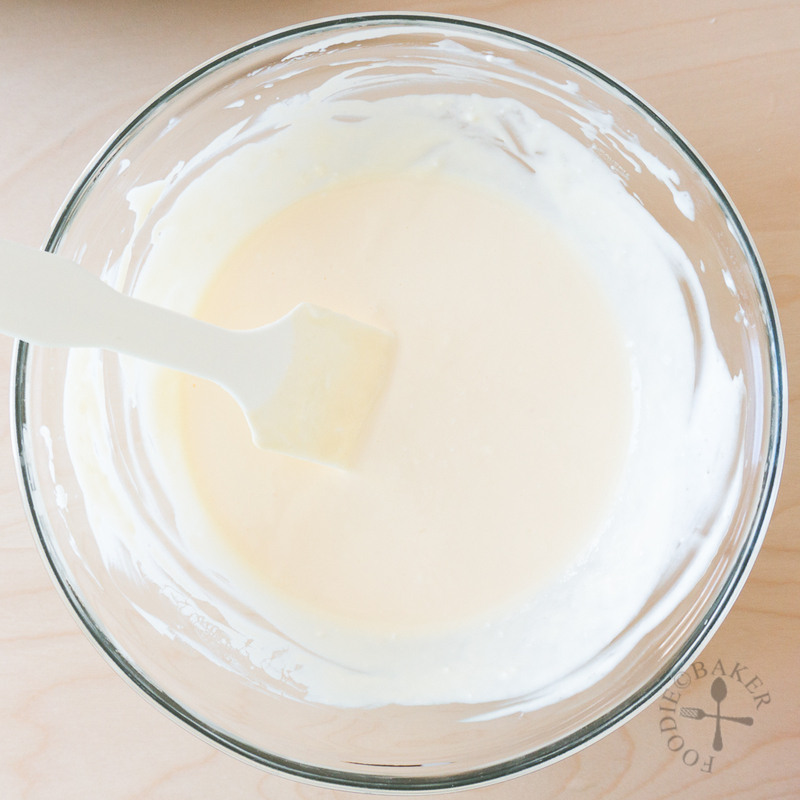 Using a wooden spoon or an electric mixer, beat cream cheese, sugar, egg and lemon juice together until combined (use a low speed if using an electric mixer). 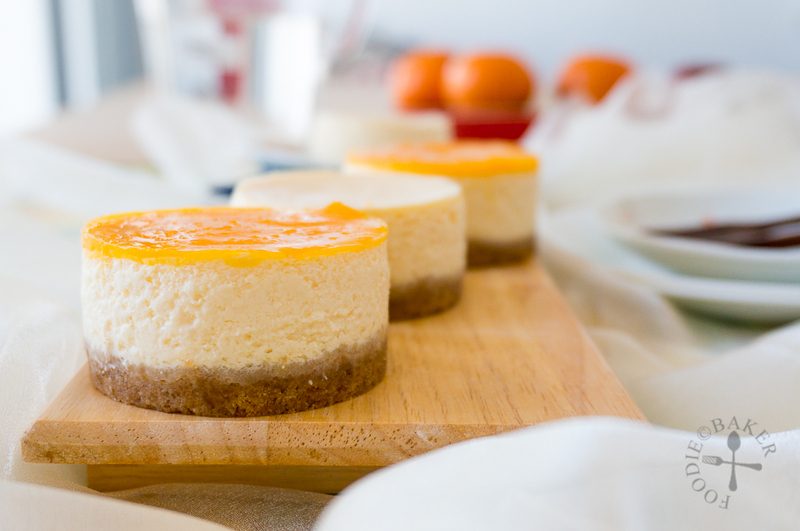 The key is to incorporate as little air as possible into the cheesecakes. Divide the batter among the cake rings and bake for 20 to 25 minutes until the cheesecake is set but there is still a very slight wobble in the middle. 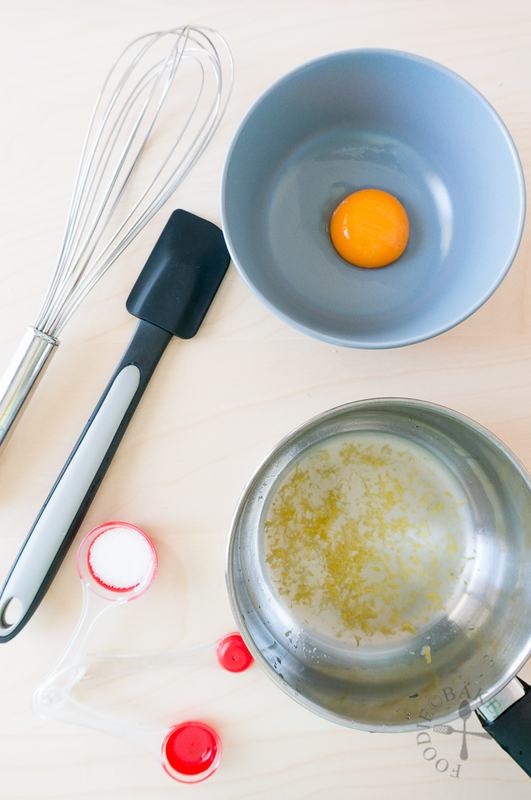 Place the baking sheet on a wire rack and set aside to cool while you make the lemon curd. 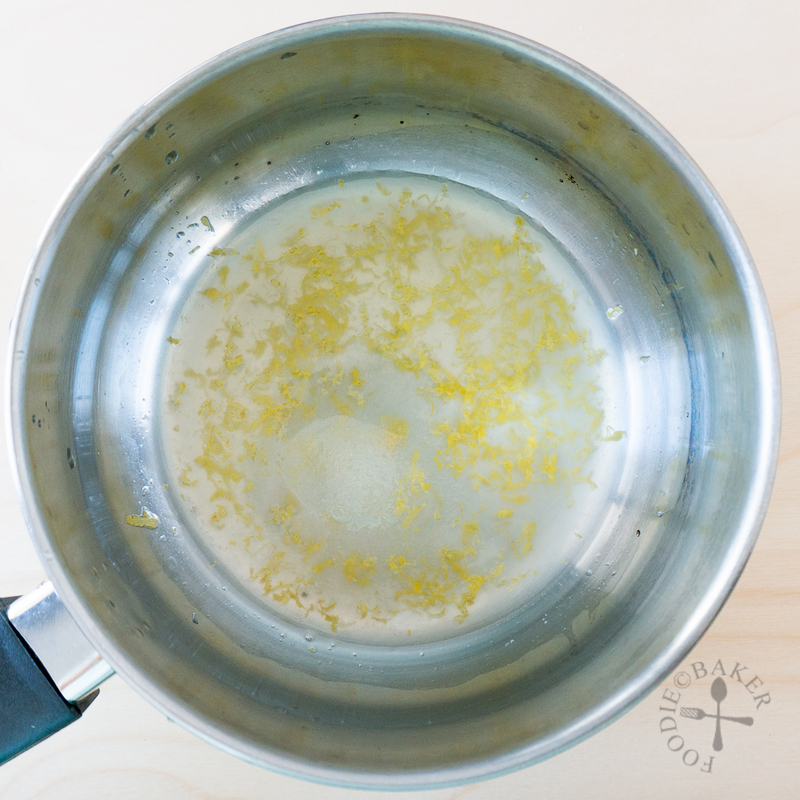 Combine the lemon zest, lemon juice and sugar in a small pot and bring to a simmer. 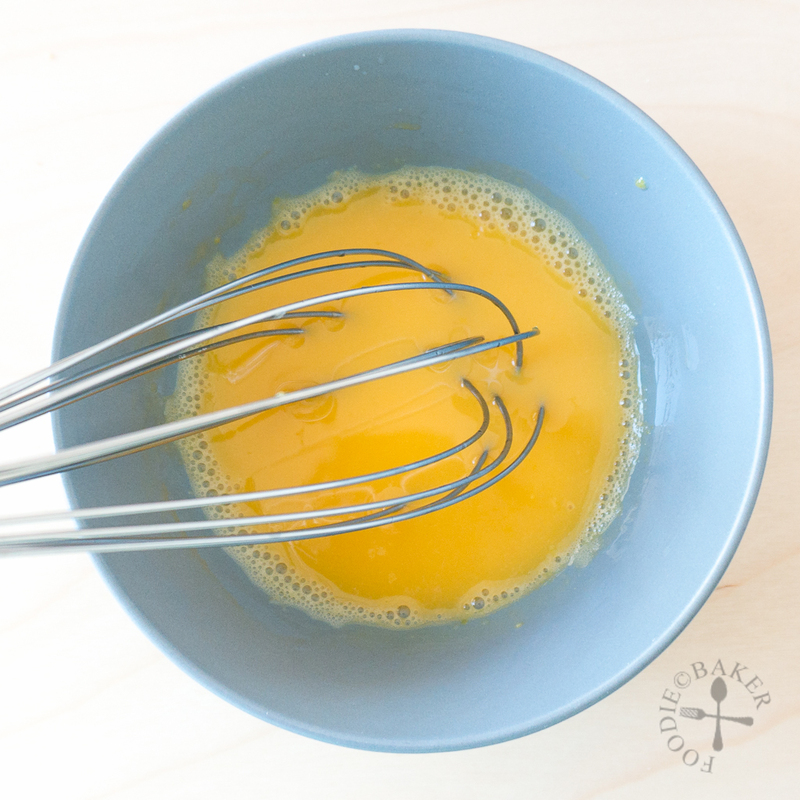 Whisk the egg yolks in a separate mixing bowl. 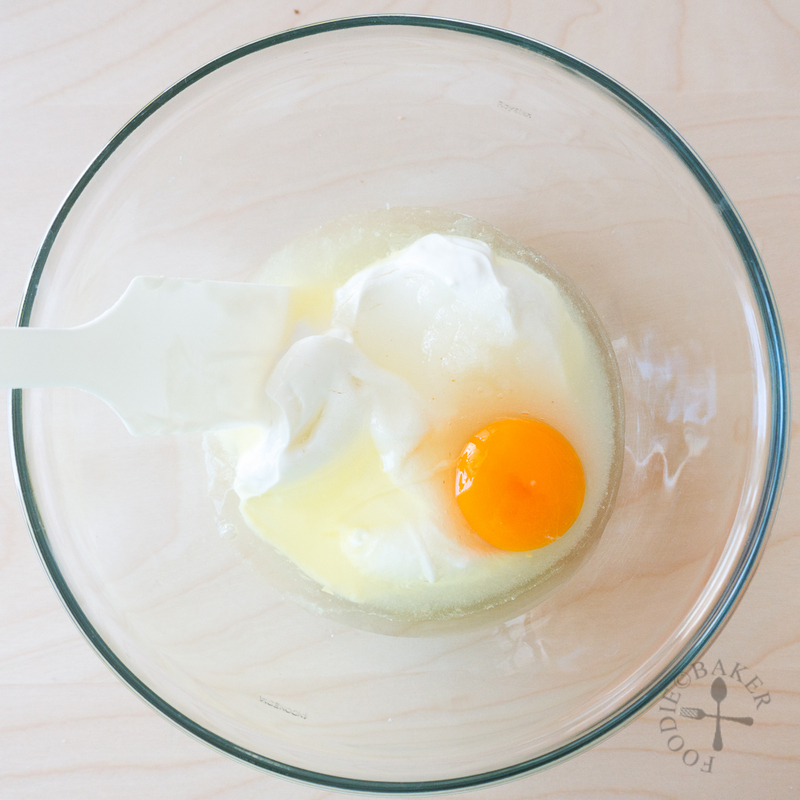 While whisking the egg yolks, slowly drizzle in the hot lemon syrup, drop by drop, then in a tiny stream until all the lemon syrup has been added. This process is called tempering. Return the mixture into the pot and cook over medium-low heat. Stir constantly until the mixture has thickened. 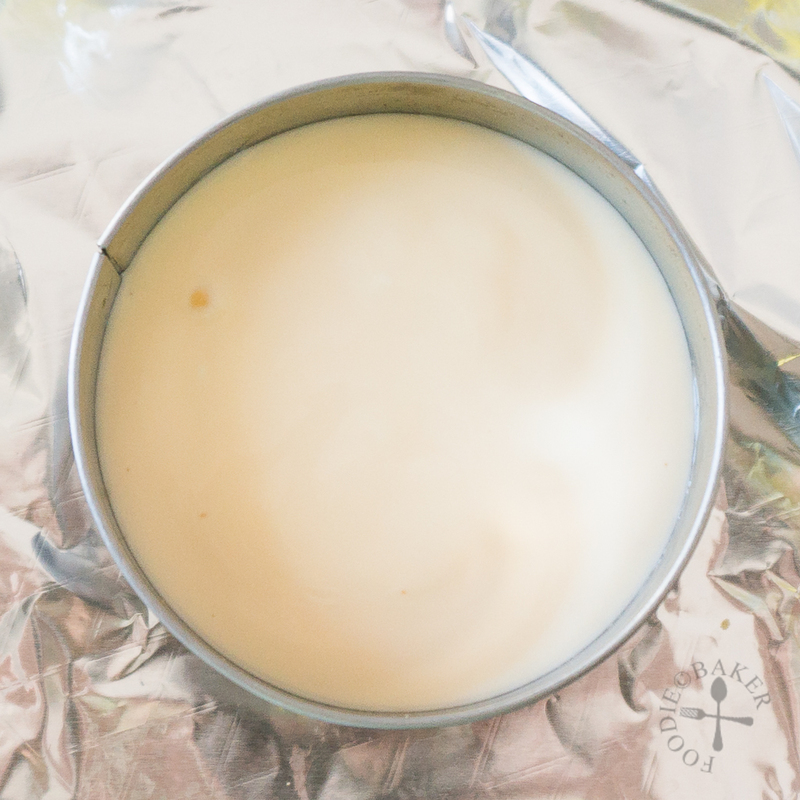 A sure sign is that when you scrape the bottom of the pot, the curd does not fill the void immediately and that the consistency is thick enough to coat the back of a spoon. Place the pot in a large bowl of ice water to stop the cooking. 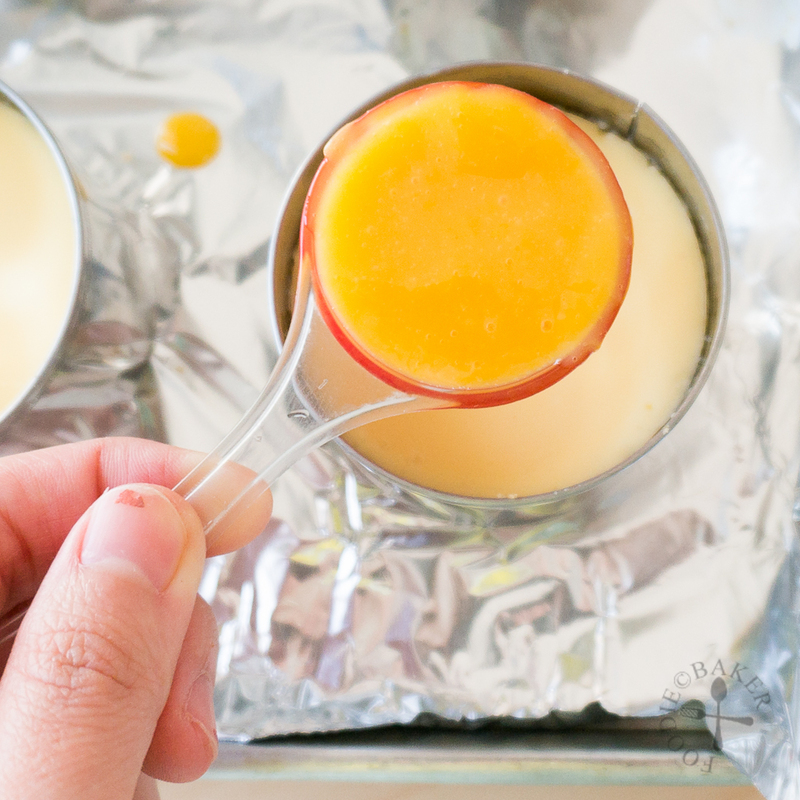 Divide the lemon curd among the cheesecakes the refrigerate the cheesecakes for at least 4 hours or overnight. To serve, wrap the cake rings with a warm tea towel for a few minutes then push the cheesecakes out from the bottom gently and slowly. Place on a serving plate and serve. Hi Jasline, this looks yummy. Thanks Susan! Yes I love sour-ish desserts so the curd is a perfect addition! I knew that you have moved, but did not know to Israel! So far away! Glad to know that it is a nice place and wish you all the best in your new surroundings! 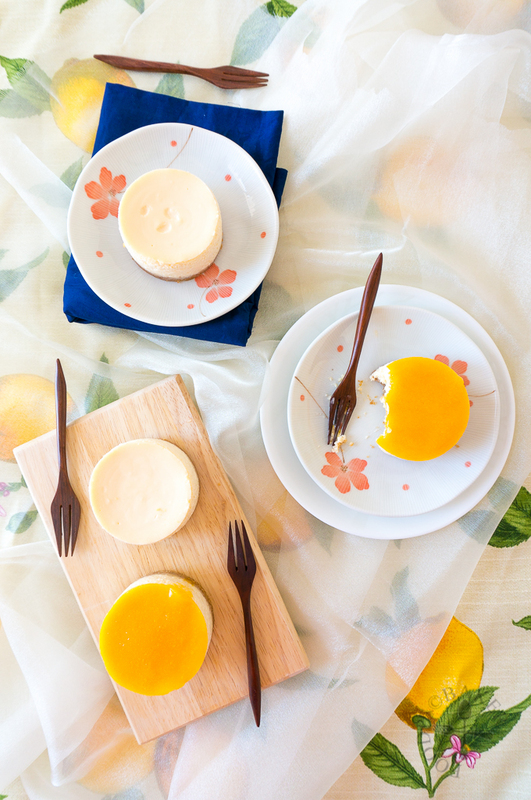 Your lemon cheesecake looks very pretty and delicious to eat! I love anything lemony! Thanks for baking along with us! Hi Joyce! Yea I’ve been here for 2 months already, really fast! Thank you for choosing such a great theme to bake to! I must say that it has been a great pleasure baking along with you… I always enjoy looking at your crystal clear photographs illustrating how you cooks. Hi Zoe! Haha no I didn’t move to Japan (how I wish I did, I’d soooo love it there), but I’m currently in Israel as my husband’s working here. It’s a very lovely place and it’s so near to Europe 😉 Thank you so much for dropping by! Hi Jasline, nice lemon cheescake! I hope you would support the event! Thanks in advance! Such beautiful mini cheesecakes! I’ll take mine with your tart lemon curb, but my hubby would love his drenched in chocolate! Thank you Uru! Hope you are doing great! I love a good cheesecake, it´s simply a classic in Germany where I come from. Your lemony version sounds like a perfect springtime treat! I love cheesecake and I love the fresh flavor of lemon, so this combination is culinary heaven to me. Hi Daniela, I’m glad this is a delicious combination to you! I love it too, it’s so refreshing! This looks SO good. Love the bright and clean feeling of these photos, too! Love the idea of using cake ring to bake cheesecake. …I’m with you like sourish tangy flavour. Though I’m not fond of cheesecake, wish to have a spoonful of your lovely Lemon Cheesecake ^-^! Hi Karen, wish I can send you some! I love individual desserts so cake rings are my favourite way to make cheesecakes! I love lemony lemon desserts, even more than chocolate ones! This looks amazing and so reminds me of the fresh flavours of spring. I think a scoop of fresh blueberries over the top and I would love to eat this any time of the day! Pinning and sharing, of course! The addition of blueberries sounds really good! Weird though, I haven’t seen blueberries here (but there are tons and tons of strawberries), maybe it’s not the season yet! Thanks for the love as always Bobbi, take care! Hi Mary, thank you for dropping by. I love travelling, but living in a totally new country is a whole new game. Lucky my butcher didn’t wave his knife at me when we trying to communicate, haha. Thank you for the compliments on the cheesecake! oh jasline, im a bit out of touch, where are you living now? i can understand the difficulty of the chicken and duck talk..hehe..i hope things will get easier for you as time goes by. Thank you for linking your cheesecake post with us, despite having problems sourcing for the usual ingredients, you still managed to bake it so well..i like lemon curd too, im sure too that this is a very delicious cheesecake! Thank you Nee! Glad I’m not the only one! Oh you poor thing Jasline. I relate to that because I moved to Japan for a couple of years and couldn’t speak Japanese so my life was miming a lot of the time!